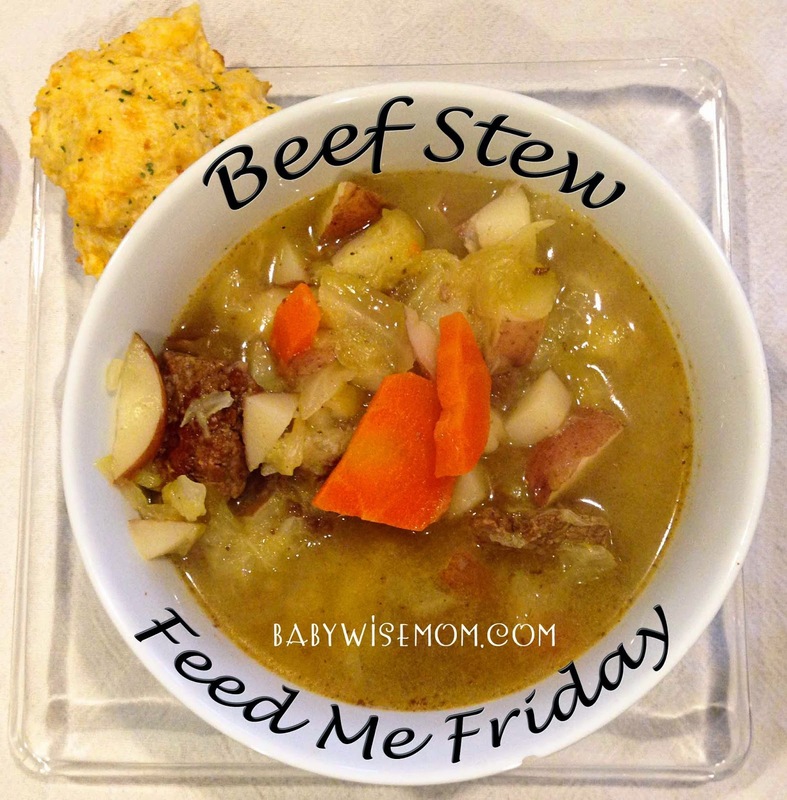 This stew is simple but when cooked correctly is amazing. It takes a long time for this to cook, so start it right after you eat lunch if you want it for dinner. Sprinkle meat with salt (I like to do Kosher salt for this). 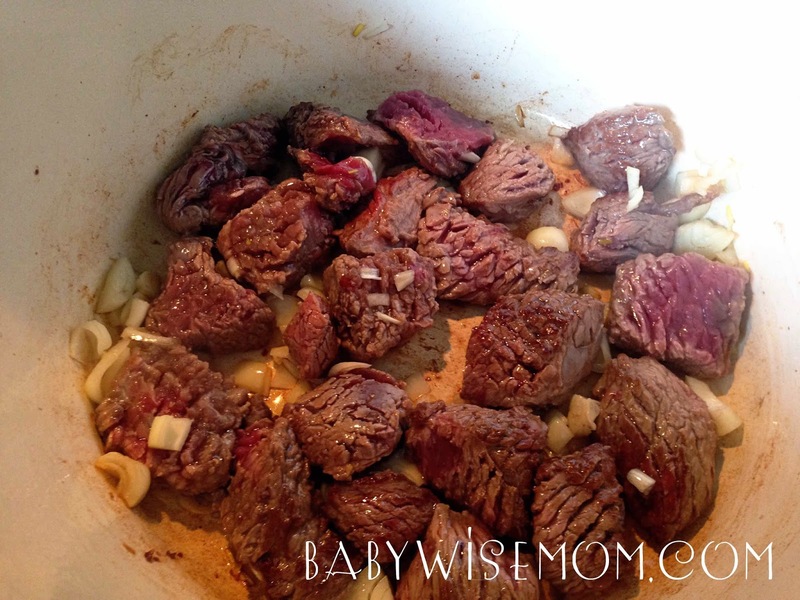 In a large pot for soup (I use this (Affiliate link–>) Tramontina Enameled Cast Iron Covered Round Dutch Oven), brown stew meat with oil/butter and the diced onion. Add a little of the water. Whisk the water as it boils to help deglaze the pan. Cover and simmer for about 2 hours. Stir every so often. 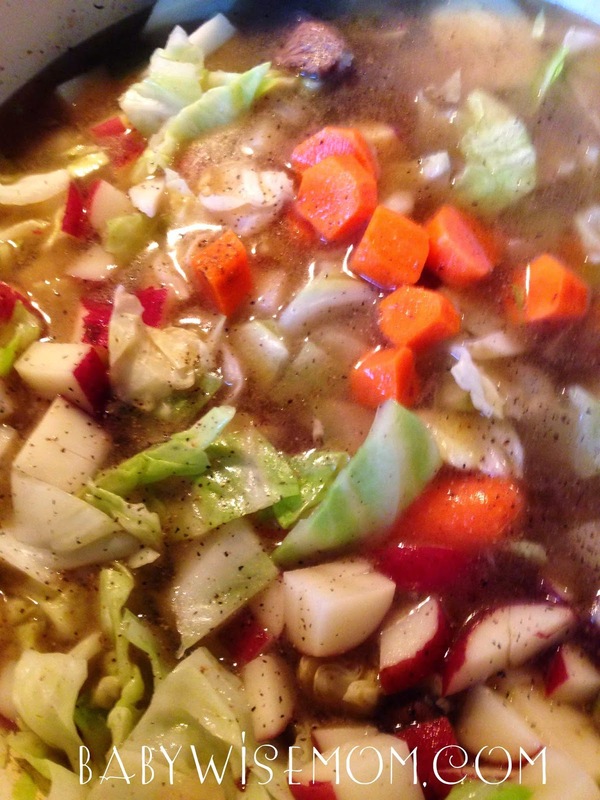 Add cabbage, carrots, and potatoes. Add pepper to taste. Add more salt if needed, to taste. Cover and simmer for at least 2 hours (yes, again). Stir every so often. I haven't but I am sure it would work fine. Just brown the meat, then add everything else and cook on low for 8-10 hours.